Pe Ben USA Inc. was awarded contracts by Precision Pipeline LLC for the loading, hauling and stringing of approximately 201.8 miles of 42-in. pipe on Mountain Valley Pipeline Spreads B, C, D, G, H and I in Braxton, Doddridge, Harrison, Lewis, Monroe, Nicholas, Raleigh, Ritchie, Upshur and Webster counties of West Virginia and Craig, Franklin, Giles, Montgomery, Pittsylvania and Roanoke counties of Virginia. The superintendents are Toby Prawl (Spread C), Ned Huston (Spread D), Bo Miesner (Spread G), Jonny Maynard (Spread H) and Cody Phillips (Spread I). Approximate start dates: May 14-31. InfraSource LLC was awarded a contract by Vectren for the rebuilding of a regulator station-levee station in Evansville, Indiana. Headquarters is not yet determined. The superintendent is Tim Dunn. Approximate start date: May 21. Pe Ben USA Inc. was awarded a contract by Precision Pipeline LLC for the loading, hauling and stringing of approximately 34.8 miles of 42-in. pipe in Doddridge, Harrison, Ritchie and Wetzel counties of West Virginia. Headquarters is Bridgeport/Ellenboro, West Virginia. The superintendent is Adam Minigh. Approximate start date: May 21. InfraSource LLC was awarded a contract by DTE Energy to install approximately 13.2 miles of 12-in. pipeline in Berks County, Pennsylvania. Headquarters is not yet determined. The superintendent is Brad Phillips. Approximate start date: May 14. B&N Clearing and Environmental LLC was awarded a contract by InfraSource LLC for clearing on approximately 13.19 miles of 12-in. pipeline right-of-way in Berks County, Pennsylvania. Headquarters is unknown. The superintendent is Kevin Newcomb. Approximate start date: May 7. Environmental Reclamation Services LLC (EnRec) was awarded contracts by Precision Pipeline LLC for the following: 1) environmental and maintenance work on the Dakota Access Pipeline in Dunn, McKenzie, Mercer, Morton, Mountrail and Williams counties, North Dakota. Headquarters is Mandan, North Dakota. The superintendent is Greg Patrow; and 2) clean-up and seeding on approximately 30 miles of 36-in. pipeline right-of-way, and on 24 miles of 24-in. 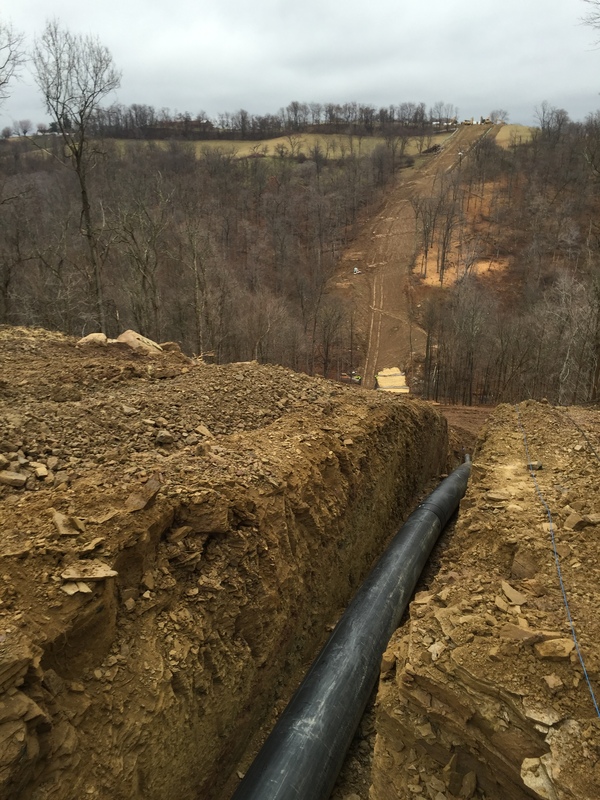 pipeline right-of-way in Belmont County, Ohio, and Doddridge, Marshall, Tyler and Wetzel counties in West Virginia. Headquarters are in Clarksburg, West Virginia, and Powhatan Point, Ohio. The superintendent is Randy Rubenzer. Approximate start dates: 1) May 7 and 2) May 1. InfraSource LLC was awarded a contract by Washington Gas Light for the replacement of approximately 7,800 ft of 20-in. pipeline, 5,260 ft of 12-in. pipeline and 584 ft of 12-in. pipeline in Frederick County, Virginia. Headquarters is Winchester, Virginia. The superintendent is Matt Ranson. Approximate start date: May 7. InterCon Construction Inc. was awarded contracts by Minnesota Limited LLC/Mark West Liberty for the following: 1) to install approximately 4,763 ft of 20-in. pipeline via horizontal directional drilling in Jefferson County, Ohio, and Brook County, West Virginia. Headquarters is on the jobsite. The superintendent is Justin Eads; and 2) to install approximately 2,538 ft of 20-in. pipeline via horizontal directional drilling in Harrison County, Ohio. Headquarters is on the jobsite. The superintendent is Nick Daws. Approximate start dates: 1) May 3 and 2) May 7. Rockford Corp. was awarded a contract by Williams Field Service Co. to install approximately 3.6 miles of 24-, 16- and 10-in. pipelines in Susquehanna County, Pennsylvania. Headquarters is Montrose, Pennsylvania. The superintendent is Kevlin Shaw. Approximate start date: May 7. United Piping Inc. was awarded contracts by Enbridge for the following: 1) multiple integrity digs on 36-in. pipelines in Dickinson, Gogebic, Iron and Mackinac counties in Michigan, and Bayfield, Douglas and Iron counties in Wisconsin. Headquarters is Duluth, Minnesota. The superintendent is Robert Gall; and 2) multiple 36-in. pipeline integrity digs in Bay, Lapeer, St. Clair, and Tuscola counties, Michigan. Headquarters is Mt. Pleasant, Michigan. The superintendent is Robert Gall. Approximate start dates: 1) May 7 and 2) May 2. MaxHDD LLC was awarded a contract by Schmid Pipeline Construction Inc. to install 625 ft of 8-in. pipeline via horizontal directional drilling in Harrison County, Ohio. Headquarters is New Athens, Ohio. The superintendent is Charlie Evans. Approximate start date: May 1. BigInch Fabricators and Construction Inc. was awarded a contract by Energy Transfer for various 26-in. pipeline anomaly digs in Henry and Fulton counties, Ohio. Headquarters is Montezuma, Indiana. The superintendent is Jim Shepler. Approximate start date: April 30. Dykon Blasting Corp. was awarded a contract by Michels Corp. to install approximately 4.43 miles of 36-in. pipeline in Monroe County, Ohio. Headquarters is on the jobsite. The superintendent is Jared Redyke. Approximate start date: April 30. The Hillis Group was awarded a contract by Henkels & McCoy Inc. to restore approximately 4.8 miles of pipeline right-of-way in Wayne and Pike counties in Pennsylvania. Headquarters is Honesdale, Pennsylvania. The superintendent is Greg Kunes. Approximate start date: April 30. Penn Line Service Inc. was awarded a contract by Price Gregory International Inc. to hydroseed approximately 21.6 miles of 20-in. pipeline in Franklin and Fairfield counties, Ohio. Headquarters is on the job site. The superintendent is Jim Pratt. Approximate start date: April 30. United Piping Inc. was awarded a contract by Southern Co. for pigging support on approximately 4 miles of 20- to 24-in. pipelines in Blue Earth County, Minnesota. Headquarters is on the jobsite. The superintendent is Joel Bailer. Approximate start date: April 30. United Piping Inc. was awarded a contract by BP Pipelines to remove two 10-in. pipelines of approximately 10,000 ft in Marshal County, Illinois. Headquarters is Morris, Illinois. The superintendent is Jim Bailer. Approximate start date: April 28. Brandenburg Drainage Inc. was awarded a contract by Alliance Pipeline to install one PCR station in Will County, Illinois. Headquarters is not yet determined. The superintendent is Art Brandenburg. Approximate start date: April 26. 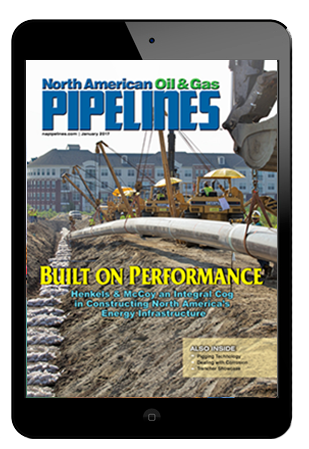 Appalachian Pipeline Contractors LLP was awarded a contract by Williams Transco Gas Pipeline Co. Inc. for facility modifications including pig trap and valve settings of various sizes in Camden County, New Jersey and Chester County, Pennsylvania. Headquarters is unknown. The superintendent is Ben Brown. Approximate start date: April 23. Henkels & McCoy Inc. was awarded a contract by NICOR Gas for cleanup and restoration work on 8 miles of 30-in. pipeline right-of-way in Kane County, Illinois. Headquarters is unknown. The superintendent is Mike Ford. Approximate start date: April 23. InfraSource LLC was awarded a contract by Cascade Natural Gas for hydrotesting approximately 4,899 ft of 4-in. pipeline in Franklin County, Washington. Headquarters is Kennewick, Washington. The superintendent is Kenneth Helle. Approximate start date: April 23. Pe Ben USA Inc. was awarded contracts by Henkels & McCoy Inc. for: 1) hauling and stringing a total of approximately 17 miles of 36-in. pipe in Cabell, Mason and Putnam counties, West Virginia. Headquarters are Barboursville and Nitro, West Virginia. The superintendent is Chane Keeling; and 2) hauling and stringing a total of approximately 23 miles of 36-in. pipe in Jackson and Putnam counties, West Virginia. Headquarters are Fairplains and Nitro, West Virginia. The superintendent is unknown. Approximate start dates: April 23 (for both projects). Pe Ben USA Inc. was awarded a contract by Snelson Cos. Inc. for hauling and stringing 20 miles of 36-in. pipe in Wetzel, Tyler, Doddridge counties, West Virginia and Athens County, Ohio. Headquarters is St. Mary’s West Virginia. The superintendent is Trey Stokes. Approximate start date: April 23. Price Gregory International Inc. was awarded ·a contract by Mountain Valley Pipeline LLC to install approximately 26.2 miles of 42-in. pipeline in Fayette, Greenbrier and Nicholas counties, West Virginia. Headquarters is unknown. The superintendent is Greg Newcomb. Approximate start date: TBD (announced April 23). R.L. Coolsaet Construction Co. was awarded a contract by Panhandle Eastern for the hydrostatic testing of 5 miles of 22 -in. pipeline and 7 miles of 16 -in. pipeline in Wayne County, Michigan. Headquarters is Romulus, Michigan. The superintendent is Jack Hill. Approximate start date: April 23. B & N Clearing and Environmental Inc. was awarded a contract by Price Gregory International Inc. for clearing on approximately 27.11 miles of 42-in. pipeline right-of-way in Fayette, Greenbrier and Nicholas counties, West Virginia. The superintendent is Kevin Newcomb. Approximate start date: April 20. Brandenburg Drainage Inc. was awarded a contract by Schmid Pipeline Construction Inc. for the clearing of approximately 1.5 miles of 8-in. pipeline right-of-way in Harrison County, Ohio. Headquarters is unknown. The superintendent is Walt Brandenburg. Approximate start date: April 19. C.J. Hughes Pipeline was awarded a contract by Fullstream Goff Connector LLC to install approximately 20.5 miles of 24-in. pipeline in Harrison County, West Virginia. Headquarters is Clarksburg, West Virginia. The superintendent is Jackie Berryman. Approximate start date: April 19. Gabe’s Construction Co. Inc. was awarded a contract by Reynolds Construction to install approximately 5,600 ft of 20- and 14-in. pipeline via three horizontal directional drills in Lawrence County, Pennsylvania. Headquarters is on the jobsite. The superintendent is Steve Huibregtse. Approximate start date: April 19. Penn Line Service Inc. was awarded a contract by Integrity Kokosing Pipeline Services for hydroseeding and landscaping on approximately 2.75 miles of 20-in. pipeline right-of-way in Allegheny and Washington counties, Pennsylvania. Headquarters is on the jobsite. The superintendent is Jim Pratt. Approximate start date: April 18. United Piping Inc. was awarded a contract by BP US Pipelines for the pulling and lowering of approximately 100 ft of 8-, 10- and 12-in. pipelines in LaSalle County, Illinois. Headquarters is Morris, Illinois. The superintendent is Jim Bailer. Approximate start date: April 16. T.G. Mercer Consulting Services Inc. was awarded a contract by GIE for offloading and racking 70 miles of 12-in. pipe and pipe yard construction in Williamson County, Texas. Headquarters is Willow Park, Texas. The superintendent is Michael Magee. Approximate start date: April 9.